This producer has really grown to be one of my favorite artists as of recently. The sound of melodic instrumentals that carry your soul into other spaces of peaceful energy is what gravitates many listeners to his music. From Oklahoma City, Oklahoma, Ethan Strange aka Celadon City uses mystical and lighthearted beats like soft piano and xylophone to perceive his mind of music. It only exhibits exceptional positivity yet heavy emotion. For example, his recent EP titled, Summeryoung, which was released via Secret Songs, is a pure and beautiful composition of tracks that can brighten anyone's day. Below check out the interview with the remarkable Celadon City! Enjoy! Question 1: What got you into making music? My first experience with music was when I was about six. I lived next door to my great grandmother, and she had this very old piano that I loved to play. I loved to play that piano every day I visited her, which was like four times a week. I got into guitar when I was 11 or 12 years old, and after a long period of time without playing during high school, I decided to get into production my senior year of high school after seeing some my friends use Ableton. Writing music, whether its whole songs or just loops of noise, has become one of the best habits in my life. Question 2: What people intrigue you or inspire you to pursue music? I grew up as a huge Radiohead fan, and so my idols are them, especially Johnny Greenwood and Thom Yorke. I found my comfort zone with Kid A, and so I feel a lot of my inspiration comes from that album. As I spent more time in the music community, IRL and online, my iTunes became flooded with thousands upon thousands of music I had found via Bandcamp and SoundCloud. Ambient music is by far the most important music in my life right now. I am always finding new artist that share similar moods and sounds like my own, and it's the most reassuring thing I’ve come across as an artist. Question 3: How would you define your style of music? Warm Ambient Songs for the Heart. Very sappy stuff for the night time. Question 4: What influences your style of work? Nature is where I’ve spent a lot of my time when I’m looking for new ideas and moods. If I had more time and weren't so constricted with school, I would do more camping trips and walks at national parks. It’s important to feel the air in your lungs and to let yourself get emotional about what we have around us. Traveling, in general, is something I want to do for the rest of my life. Question 5: What is your favorite track that you have produced so far? This is nearly impossible to answer, but I am very proud of my track “Below the Alpine.” That track came from an early Celadon City rough draft I had when I first changed my moniker. I felt like after I wrote that song I evolved more and became super confident in myself. I remember the night that I recorded the outdoor noise for that track. The day before I had suffered an emotional panic attack after having doubts about the direction I was taking with my music. I really thank my friends and family for essentially saving me from my own destructive nature. Question 6: How far do you plan to take your music, any goals in mind? 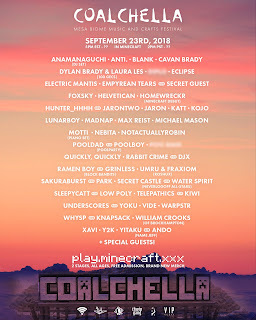 Who would you like to work with in the future? I want to take it as far as I can. Once I graduate in the spring, I plan on putting myself in a different world and see new things to inspire me more. A Celadon City tour is a huge goal, and I hope I do it soon. Also working with more artists to help promote a positive impact at shows and events. Now is the time to be engaged with our friends and fan more than ever. I have already had the pleasure to work with some incredible people and to have released music with some of the most beautiful and wonderful people, and I don’t plan on stopping there. 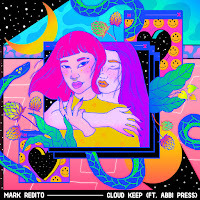 "CLOUD KEEP" - MARK REDITO FT. ABBI PRESSLA producer, Mark Redito, is back again with a brand new release titled, "Cloud Keep" featuring the lovely voice of Abbi Press. This delicate track revolves around love, spontaneity, and fantasy. The whispering vocals and playful drums wrapped in sweet synths wholeheartedly keep the song in a light and groovy mood. Paired with the new release of the track, Redito also surprises us with a wholesome music video emulating the song's character and story perfectly! It's one to enjoy on a warm spring day with a loving individual right by your side! Below take a listen to Mark Redito's "Cloud Keep" featuring Abbi Press! If anyone is pushing the elements of visual art, it's Canadian resident, Baron Lanteigne. His digital practice holds your attention to different elements of perspective by using tools of video, sound, programming, and electronics. Diving into a virtual realm of his imagination, each project consists of ambitious human and digital conversions. Lanteigne progressively reforms the way art can be applied, digested, and displayed. 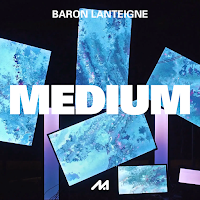 For our next MEDIUM feature, read about Baron Lanteigne's journey in his artistic development and process. What is your typical process for creating a virtually immersive piece? A typical animation requires the artist to frame the action and only create what is within the frame. This type of framing allows for very strong storytelling because every frame introduces a meaningful element or event and each frame is isolated from the other by a cut.